With the explosion of digital content over the past decade, it only makes sense that the services of graphic designers are also seeing high demand. If you’ve got a visual flair or just want to learn the tools for translating your artistic concepts into the digital space, then this round of courses in the Graphic Design Certification School ($39, over 90 percent off from TNW Deals) may be just the ticket. With this package, you get intensive training and ultimately certification in three of the most powerful graphics programs in any designer’s arsenal. The Photoshop course shows you the basics as well as more advanced techniques for navigating Adobe Photoshop, the most popular photo editing software ever created. From importing images through all the steps needed to make that image ready for publication, this training will help even first-time users master critical editing skills. Whether you’re morphing color, different layers, formats or even adding text and other elements to your image, you’ll have all the tools after completing this course. For those looking to produce print-quality fliers, newsletters, posters and other physical media, this Adobe InDesign course will help you make that happen. Once you’ve learned the baseline commands, you’ll be able to start designing standalone pieces and templates for stunning digital magazines, e-books or a host of other digital publishing options. Finally, you’ll start incorporating logos, icons, exotic typefaces and other vector art elements into your projects with the Adobe Illustrator course. Learning vector art is a key graphic design element, allowing you to more effectively manipulate images, shapes, colors and typography to almost any size without degradation or pixelation. It’s the pro tool any designer needs to know. 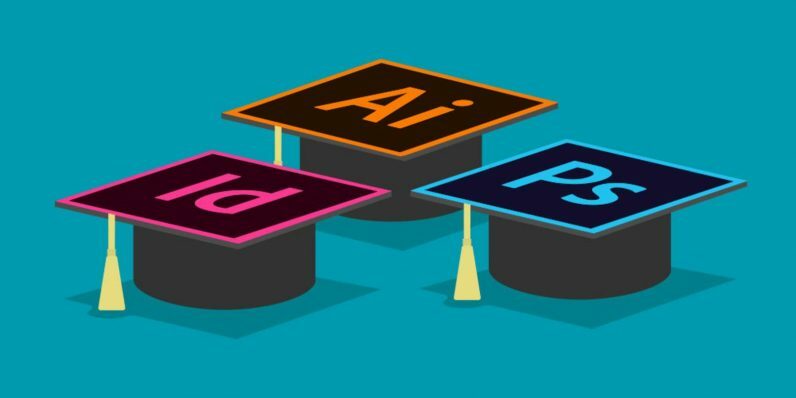 Your coursework here is put toward your eventual CPD Certification, the independent assessing group that tells employers and clients that you’re fully trained in these essential Adobe environments. Each of these courses usually runs $400, but with this limited time deal, you can get the full bundle at a fraction of that total — only $39.